The holiday season really is the most wonderful time of the year. Holiday songs ring from every speaker, kitchens smell like fresh baked cookies and homes sparkle and shine with creative light displays and decorations. As local experts Red Door Real Estate is often asked for information on local holiday events or Santa sightings in the South Shore, but the most popular questions we get is where is the best place to see Christmas lights in the South Shore? It has become a common family tradition to drive around from street to street or town to town searching for the best Christmas lights display in the South Shore. With the colder weather rolling in there is nothing better than getting to experience the magic of the season from the warmth of your car. And believe us some of these displays will take your breath away. 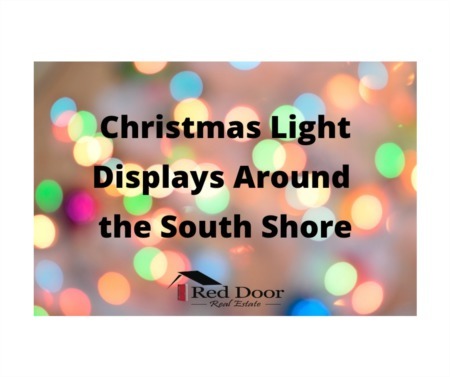 Red Door Real Estate has pooled our resources; scouring local event sites and Facebook groups to put together the most detailed list of Christmas lights displays in the South Shore MA. Forest Street, Norwell MA – The 25 minute light show spectacular at 67 Forest St Norwell plays 7 days a week from 5-9pm. Tune yoru radio to 88.7 to hear the show over your cars radio. Judges Hill Rd, Norwell MA – This Street is a beautiful site even without any Christmas light so you can only imagine how beautiful it would be during the holidays. (Off Summer St Norwell). Stone Meadow Lane, Hanover MA – You can spot the lights of the multi colored Christmas trees scattered in the woods as you drive down Main Street in Hanover, MA. But don't just pass this one by, turn onto Stone Meadow Lane to get the full effect of the lights surrounding the home and on the front lawn of one of the beautiful estates on this street. Continue to drive down and take in additional homes on the street that are decked out for the holidays. Lake St, Abington MA - Thousands of lights set to music, and we don’t mean the kind that plays on a small speaker in the yard. This is a coordinated light show boasts handmade and painted wooden figures running nightly from 6-10pm accompanied by music pumping on your car speakers when tuned to 98.1 on your car radio. The house is located near Island Grove in Abington MA (previously the light display show formerly on Loganberry Dr). Shaw St, Abington MA - located off Route 18 south of Trucchi’s supermarket. Constitution Cir, Whitman MA – A musical “Frozen” themed display with computerized lights. Home is located off of Old Colony Way, Whitman. 85 Buckingham Road, Milton seems to get better every year featuring animatronic lip syncing penguins and lights set to music playing over speakers in the yard. White lights mimic snow. Too cold to open your windows? The music will also play over your car radio. Ingham Way, Pembroke MA and Misty Meadow Rd Pembroke MA - just off Rte 53 near the “round church”. This neighborhood is always sure to have various homes with Christmas light displays. Hillfarm Rd Pembroke MA – The street is lined with trees adorned with Christmas lights. Lilah Lane Pembroke MA – arguably one of the best Christmas lights displays in the South Shore. What started with a friendly neighbor rivalry to see who could out do the other has turned into one of the biggest and most visited holiday light shows in the South Shore MA. Conveniently located off Rte 53 in Pembroke, Lilah Lane boasts close to 50 blow up features and more than 75,000 lights. Miles of lights shine on daily from 4:30-10pm. Residents stress that viewers do not get out of their car as this is a drive thru display. Additional Christmas Lights Display in Pembroke MA include - Pratt Farm Lane Pembroke MA, Allen Allen St Pembroke MA (Off Rte 18 lights with music) & Plymouth St Pembroke. 285 Centre Ave, Rockland Flag Company – This lights display os set to music so be sure to tune in your cars FM radio. Additional Christmas Light Displays in Rockland MA include a home on Webster St Rockland decorated like the holiday classic “Christmas vacation” and homes on French Rd Rockland. Tick Tock Lane Weymouth MA - The residents of Tick Tock Lane do a great job with their holiday lighting! This is just one example. Right off of Church Street. If you are coming from 7-11 end it will be on your right before the blinking light at Church & Commercial. Oak Street Holbrook MA – Make sure to set aside a good amount of time to enjoy the show! This computerized lights show boasts over 20,000 lights and runs Mon-Thurs 6-9pm and 6-11pm Fri- Sun. Be sure to tune into FM Station 102.1 to hear the music on your cars speakers. Located off Sycamore Dr. Check out this video posted on the Facebook page for 365 Things to Do In the South Shore. Doris Ave Braintree MA – This cul-de-sac has 10 or so homes that decorate for the holidays using a mix of lights and “old school” decorations. While the theatrics are not as intense as other light displays in Brantree MA this is neighborhood is a great detour to take while visiting other Braitnree displays. Located off Middle St/Andrea Dr to Eileen Dr Braintee. Morrison St Braintree MA - #17 Morrison Street pulls out all the srtops decorating both the front and back of the home. This narrow street does not leave room for U turns so follow road to get back out to the main road, Middle Street. We cannot mention Christmas Lights in Braintree without mentioning Messina Woods Dr. Sadly this neighborhood no longer puts on a light show but those who have experienced it will know that it definetely went out with a bang! 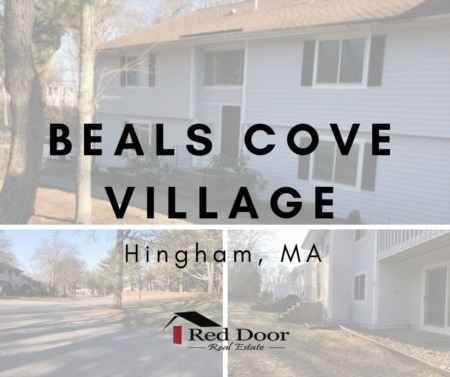 Be sure to catch a glimpse of the home across from the Braintree Police stationon Union Street, we hear it is a sure hit with your family.